As a part of our incoming surprises and commitment to upgrade your WAR2 Glory Universe, we made a very important upgrade to Generals. Now they can turn into CONQUERORS with the new suit. Keep in mind that the new items are not for heroes or officers, but for GENERALS. 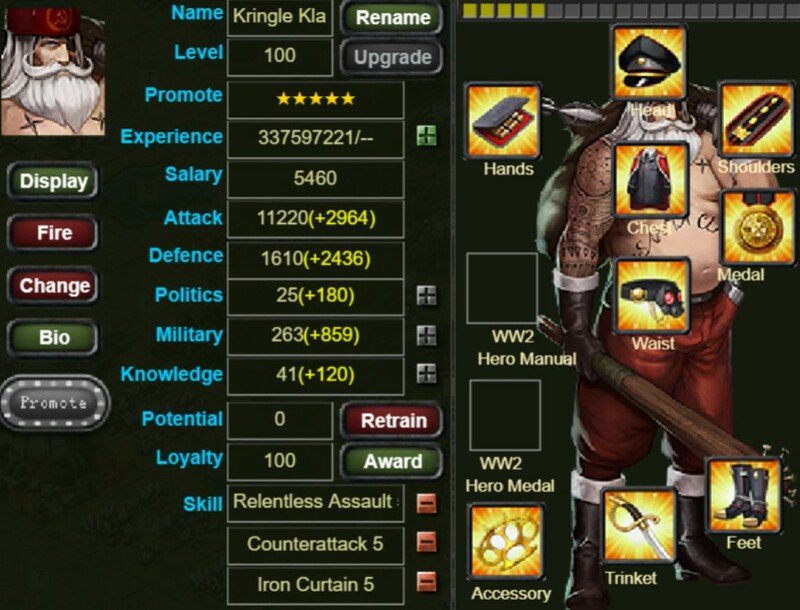 With this new update, Generals can change their attire and boost their stats with the new GENERAL CONQUEROR SUIT. The General suit has 9 components and when they fit together, they will greatly improve your General cunningness and tactical prowess. Lookout for this items in chests and the military shop. If you ever wanted to improve the stats of your General, this is a great chance to do it. *New suit will be available for all servers, except new server Kursk. Those brass knuckles look specially effective if you have to interrogate an enemy officer or worse, you have to deal with a spy in a clouse encounter. We hope you like this big change we made. We have a lot of plans for you! The best is yet to come.